The Ibanez SR1805 5-string bass guitar in Natural Flat is the latest model to take its place in the brands acclaimed Premium range and has been designed to deliver high-end performance and dependability at an affordable price. The Ibanez SR1805 features a Walnut and Mahogany body that is topped with pieces of Rosewood and Flamed Maple, a combination that creates an instrument that looks just as good as it sounds. The highly decorative body is joined by a five-piece Atlas-5 profile Wenge and Bubinga neck that is fitted with KTS titanium truss rods that help to greatly improve its stiffness. The neck is topped with a 24-fret Rosewood fingerboard with oval Abalone inlays that help to add to the premium look of the bass. The frets themselves feature Ibanez’s Premium Fret Edge Treatment that rounds off the end of each fret to make playing smoother and more comfortable. 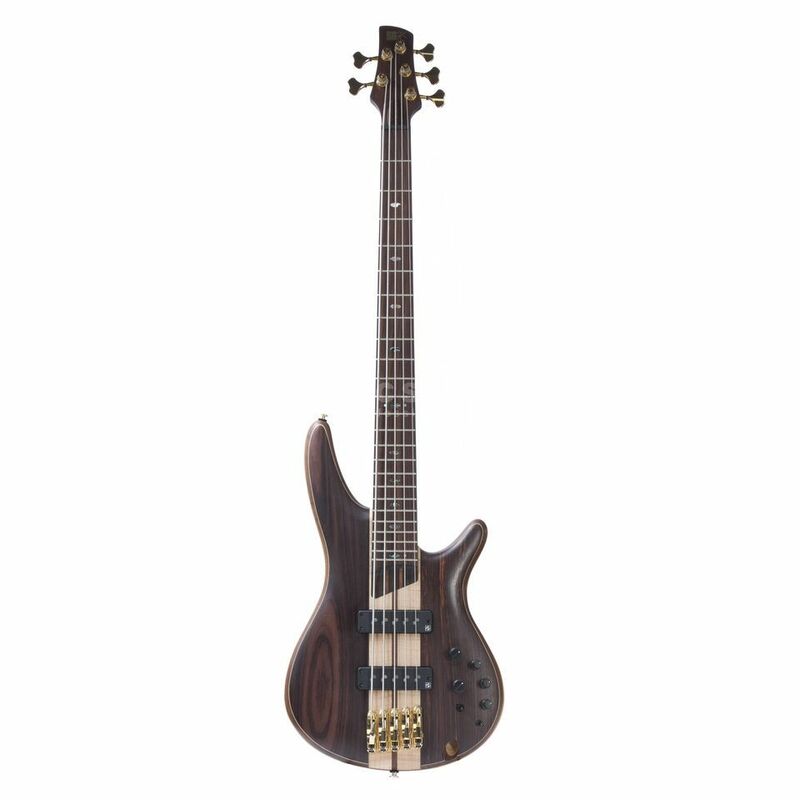 The body of the Ibanez SR1805 bass guitar is equipped with a set of high-end Nordstrand Big Single pickups that perfectly complement its choice of woods. These manage to fit an incredibly powerful single-coil into a soapbar-style pickup, with the end result being the perfect combination of soapbar-power and single-coil clarity. Accompanying the pickups is an EQB-IIISC 3-band active EQ that has been specially designed to work with the Nordstrand setup and also features EQ bypass and mid-frequency select switches. Rounding out the hardware selection on the Ibanez SR1805 5-string bass guitar is a Mono-Rail V bridge that has been designed to provide the ultimate in string isolation, acoustic coupling and adjustability, a Black TUSQ XL nut and a set of sealed tuners.